I have been looking for a peaceful small hassle free ride for my wife and was evaluating my options on the enumerated list of preferences. I tested Maruti’s Alto, A star, Hyundai Santro and Chevy Spark but none of them look pleasing to the senses and the price as per my wife was quite high she is a very careful investor and don’t want to invest much on her first car, may be hers policy of playing safe is right, so I was paying due attention towards her preferences and dislikes then we took test drive of the last car on our list Tata’s Nano. My wife gave a positive initial response and after the soothing ride of 15 kms she was pretty convinced of her conveyance, she even dreamed of riding it and going to office. We tested the petrol version and then we got to know about the diesel version coming in a few days, it’s like another surprise for us. Great car coming in a new avatar however few glitches which I noticed were small tyres, not a very good suspension, fragile exteriors and cheap upholstery but as per dealer most of them can be customized in some extra cost that made me feel relaxed. We have booked our Nano. My wife is very happy and excited about her recent purchase and I am too very happy. I have made some research on my end, after sales service of the company is very good. Spares are reasonably priced and Tata vehicles bear huge customer satisfaction and are rugged enough to go hard and handle our filthy roads. After all it’s a car of the masses for the masses and by the one among the mass. Tata Nano is great car with small size and low price for a small family. According to its price, its features and specifications are good enough. Even in economical point of view Tata Nano is excellent car. At present time- according to mileage and performance, Tata Nano is best value for money car. 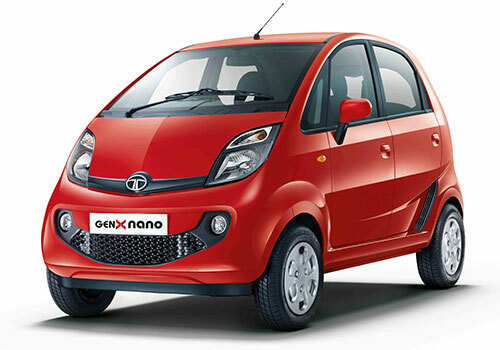 Tata Nano is one of the best and cheap price car in India.